Joep van Lieshout’s aim when he created Atelier van Lieshout in Rotterdam in 1995 was to establish an environment in which to freely explore new possibilities to build and create art, sculpture and design. 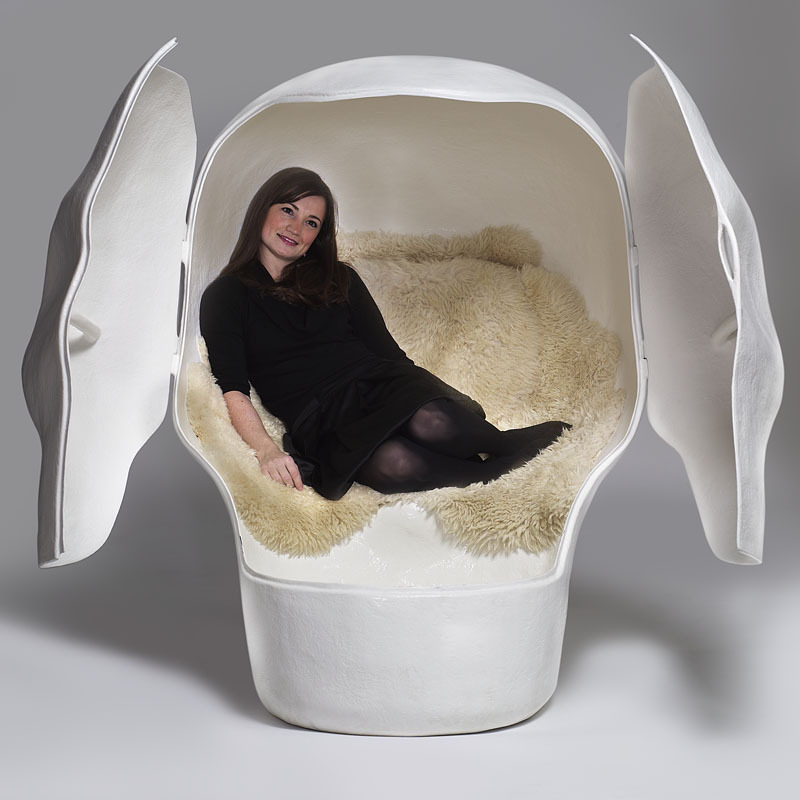 This ‘Sensory Deprivation Skull’ (2007) made of fiberglass and synthetic fur creates an intimate shelter in the shape of a skull. The user is ‘protected’ from any outside stimuli and as such it constitutes a sort of refuge from the world, and a way of retreating into reflection – giving new resonance to the words ‘getting inside your head’. The reference to Man’s transcience and mortality is also unmistakable, harking back to the old ‘Vanitas’ skull symbol in works of art and literature. 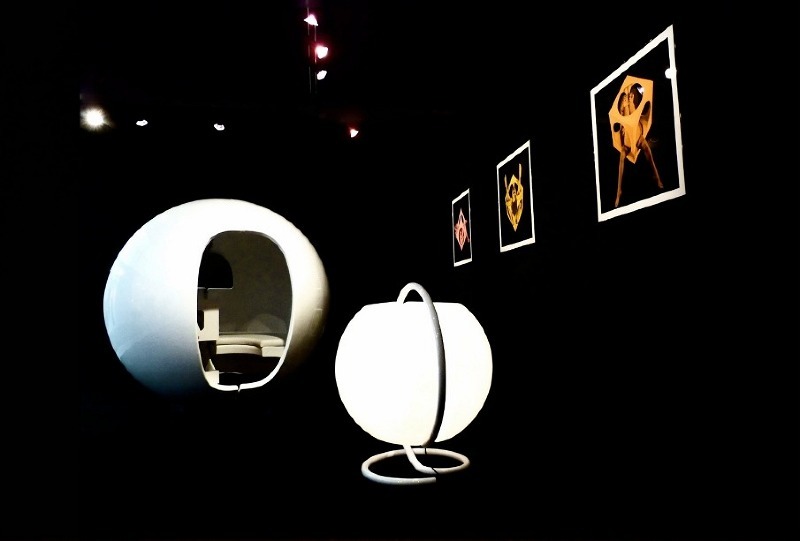 At Design Elysées 2012 last September we saw ‘La sphère d’isolement’ (1971) by Claude Maurice Vidili on Velvet Gallery’s stand. Edited by ‘Les Plastiques de Bourgogne’, it too created a contained space of isolation but was equipped with a window and connections for television, stereo and telephone thus differing radically in its function from the Atelier van Lieshout work. The latter’s philosophical references and the connotations the skull form suggests, create a dialogue between sculpture and design, appealing to the reflective side of man’s nature and encouraging silent contemplation. 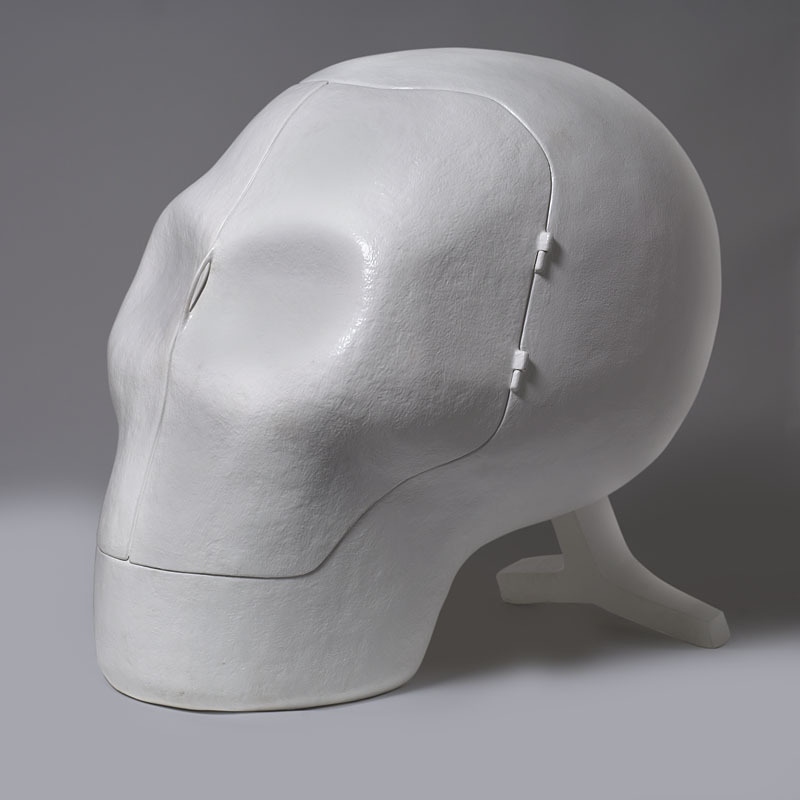 The ‘Sensory Deprivation Skull’ is currently being shown at Carpenters Workshop Gallery in Paris. Let us know what you think. We’d love to hear your comments!